Naina Gour cleared her first interview in Tech- synergy (Indore). 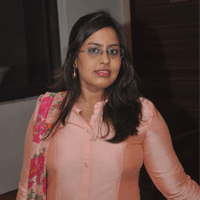 This girl from Indore now features in the team of as a Tech- synergy Patent Analyst. Naina is a law background student. After her senior secondary and intermediate she did Bachelor of Commerce (Hons) from MKHS Girls College, DAVV University Indore (M.P.). After that she decided to get into law field. She completed her B.A.LLB (Hons.) Indore Institute of Law, DAVV University Indore (M.P.). After that she decided to get into IPR field. She joined online course as she got to know that the IIPTA is also offering online training of job oriented course with very less fee. She joined for JOPAT. Tech-Synergy is a leading provider of voice transcription and BPO solutions to clients around the world. With presence in the USA, India and Philippines, we offer cost-effective, high quality, reliable and efficient business solutions. Wide range of services includes voice transcription, Data conversion & processing, and Finance and Accounting outsourcing in India on the profile of Patent Process Associate. Under this program she learnt about intellectual property rights, patent searching, IPR law’s, prior art search, tools of patent searching and many more. In this training program she also learnt about Trademarks and Copyrights. Today she is successfully placed in Tech- synergy (Indore) on the post of Patent Analyst with very good salary package and she is performing well at her job. Namita gives most of the credit of her success to her parents and IIPTA team who always remained very supportive.